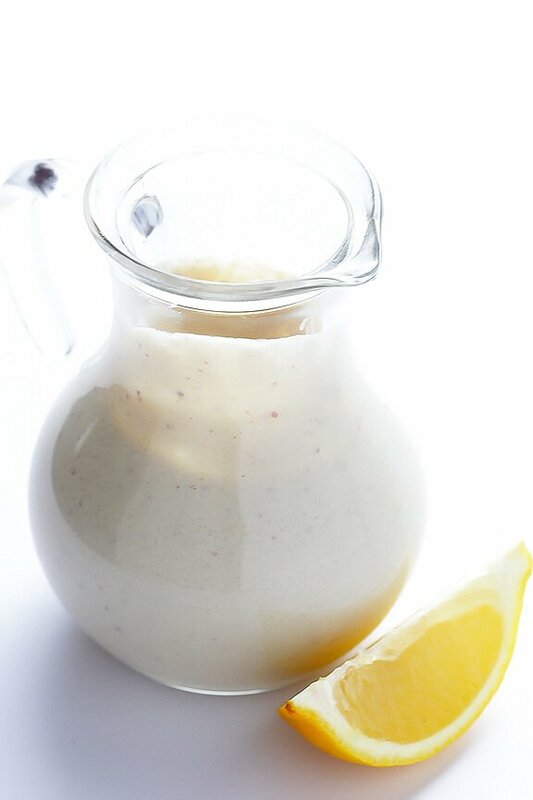 This Greek Yogurt Caesar Dressing recipe is easy to make, lightened up a bit, and SO creamy and delicious! 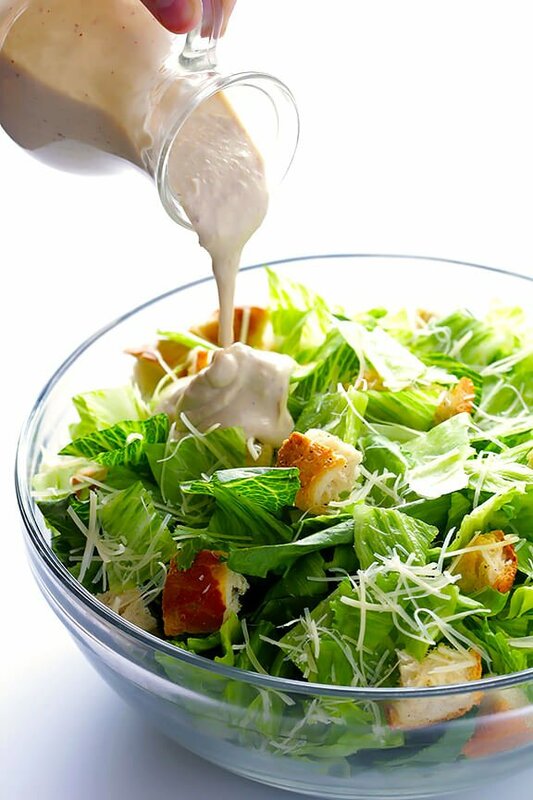 Raise your hand if you love Caesar dressing! Raise your hand if you love the classic version that’s loaded up with tons of fat, extra calories, raw eggs, often processed ingredients, and preservatives! 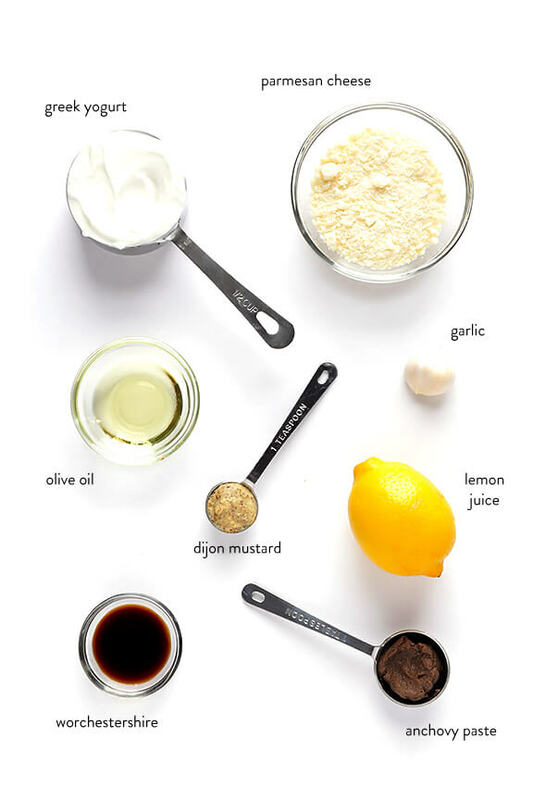 Riase your hand if you’d like to learn how to make a homemade Caesar dressing that’s lightened up with Greek yogurt, nixes the eggs, and can be ready to go in about 5 minutes! Whisk them all together in a bowl, or like I said, puree them in a blender. 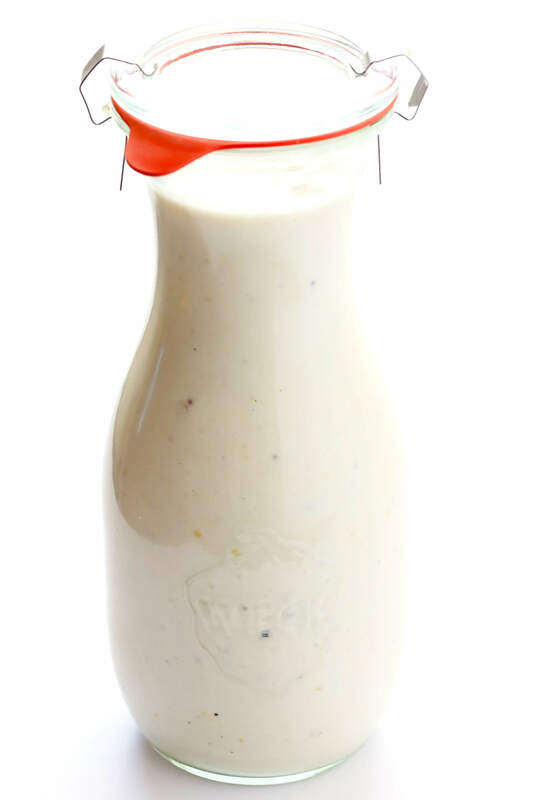 And then in minutes, your dressing is ready to go. 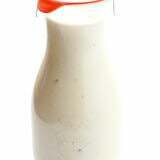 This Greek Yogurt Caesar Dressing recipe is a deliciously lightened-up take on the classic. You’ll love it! 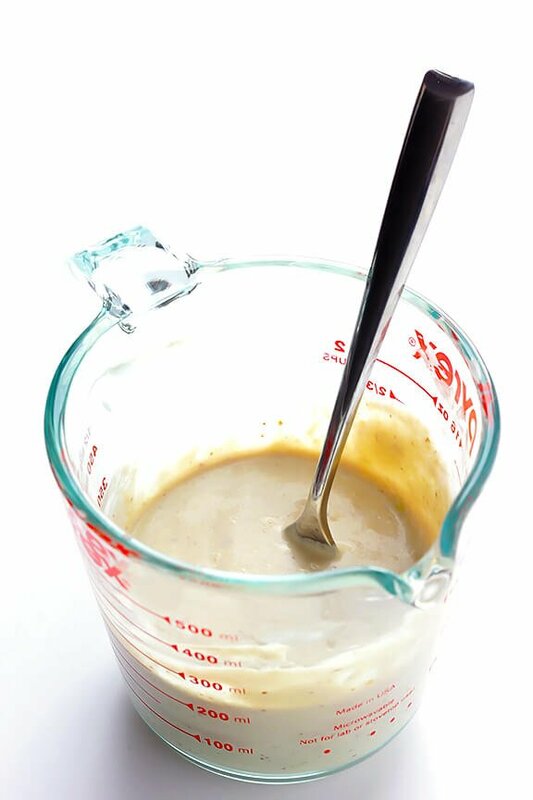 Whisk all ingredients together until combined and smooth, whisking in the lemon juice a tablespoon a time at the end until the balance tastes right to you. Season with additional salt and pepper if needed, and add extra milk if needed to thin out the dressing to your desired consistency. 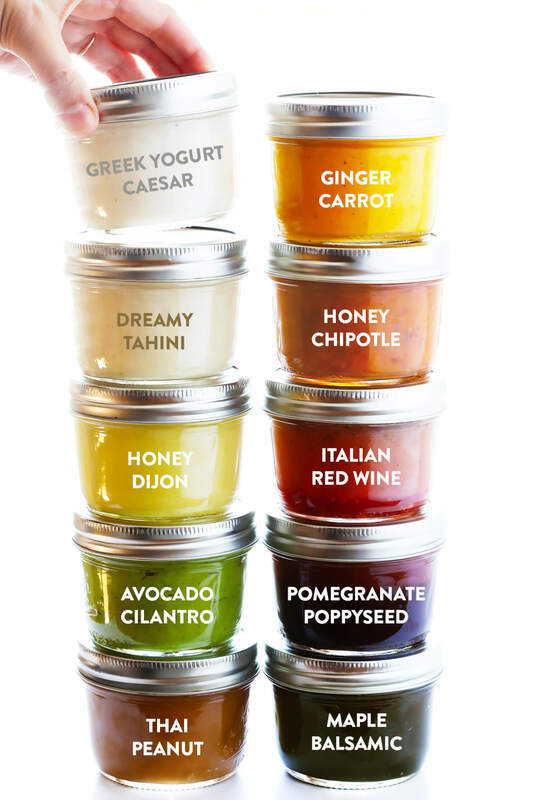 Serve immediately on a Caesar salad, or refrigerate in a sealed container for up to 3 days.